Give yourself the home business opportunity of a lifetime! AMSOIL is the Ideal Business! The outstanding products offered by AMSOIL comprise a rock-solid base upon which to build a business. Your own business. Become a dealer right now! An AMSOIL business is a home-based business. To become a dealer costs $50 a year. There are no inventory requirements and or minimum sales quotas. You can do this business either part-time or full time. The potential for a 6-figure income is there. All that it takes is time and dedication. AMSOIL is the perfect combination of traditional business and MLM to allow someone the ability to build the business they have always wanted. 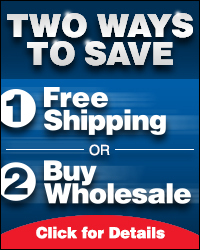 -Purchase AMSOIL products at Dealer cost and then sell them at the suggested retail price. -Retail On-The-Shelf Accounts are retail outlets such as auto parts, quick lubes and hardware stores, etc… These stores stock AMSOIL products to sell. Commercial Accounts are businesses which use AMSOIL to produce goods for resale such as, Farmers, Delivery Companies, Taxi Service, Trucking, and Industrial… the list is endless. Click here to to become a dealer: AMSOIL dealer online. Minimal start-up fee– Less than $100. Is AMSOIL the RIGHT Business for You? You’re looking for the perfect home business, right? What does that mean? What’s the perfect home business? Keep reading and you’ll find out. There are ten components to any solid home-based business, which must be looked at before even considering getting involved. · Quality products that meet a need. · A well-established, reputable company backing its products AND dealers. · Excellent support without all the hype. · Multiple avenues for business growth, which allow YOU to decide how to build YOUR business. · Potential for financial independence within 5 years or less with limitless potential for financial growth. · Large initial investment to become involved. · Keeping an inventory of products. · Minimum quotas for purchasing or selling products. · Lots of paperwork and record keeping. · Large commissions for simply signing up new dealers. How Does the AMSOIL Home Business Measure Up? Very few home businesses can meet all, or even many, of the criteria listed above. However, with an AMSOIL business, ALL of the above are true. That is where company support comes in. The AMSOIL business is backed 110% by an outstanding group of people that are leading the way through innovation, training, support materials and dealer/customer service. I am committed to your success. After all, your success directly affects my success. So, I’m willing to help you in any way that I can. But, all of that is worthless unless you are willing to dedicate that same level of commitment to your business that I am dedicating to you. If you’re not willing to make that commitment, then I suggest you don’t waste your time. Neither one of us will benefit if you sign up as a dealer but don’t put any effort into growing a successful business. If all you want is product discounts, AMSOIL now has a Preferred Customer program which allows you to purchase the products at wholesale pricing. You can email me if you wish to know more about this. This is a business that anyone can be successful in. AMSOIL dealers come from all walks of life. You’d probably be very surprised to learn about the different types of people who are running successful AMSOIL businesses. Financial freedom and security are within your reach. You just have to be willing to put in some effort. How much effort are you willing to put in to secure your family’s financial future? The AMSOIL product line is the most highly formulated Synthetic Lubricants line on the market. In addition, it is one of the most reasonably priced. AMSOIL Lubricants are quality products that meet a need. If you don’t know the products very well, you should probably take a look at the rest of our website. You’ll find plenty of information regarding the products. AMSOIL has been marketing environmentally friendly extended drain automotive protection products since 1972, and the company is growing faster now than it ever has. AMSOIL products have always been sold through independent dealers. The AMSOIL Company continues to provide top-notch support to its dealers and is always on the lookout for ways to help dealers grow their business. Every customer who purchases AMSOIL products does so through an independent dealer. In fact, the company will not allow a person or company to purchase directly from AMSOIL (unless it is an overseas company). This assures that AMSOIL will never undercut your business. AMSOIL dealers are simply people like you. People who want a little extra money, something to do in their spare time, even a full-time business. Anyone who can recognize the benefits of using AMSOIL products can sell them because all you have to do is tell others about your experiences with the products. You can start an independent Dealership for under $65 and put as much — or as little — time into it as you want. There are absolutely NO MINIMUM QUOTAS OR REQUIREMENTS to remain a dealer beyond the year fee. Currently less than 15% of the whole world market uses synthetic lubricant on a regular basis. AMSOIL is the leader in Synthetic Lubrication Technology. AMSOIL is poised to remain at the top of the Synthetic Market for some time to come. Synthetic Lubricants is the fastest growing segment of the lubrication market. This will undoubtedly continue, due to the many benefits that synthetics pass off to their customers. AMSOIL is a TOTAL Lubrication and Filtration Company. No other company markets such a diverse line of lubrication and filtration products. Since the introduction of our very first synthetic motor oil it has been our products that have drawn people to AMSOIL. Whether its savings realized through extended drain intervals, prolonged engine and equipment life or improved overall performance through superior lubrication, people recognize the great value our products provide. AMSOIL products prove their value and people who use them, more often than not, become AMSOIL customers for life. Throughout the years many people became Dealers simply to use the products. They had no intention, initially, of actually working their AMSOIL businesses. They weren’t salespeople, but because of the many benefits they experienced with the products they gained confidence and began aggressively pursuing their AMSOIL business opportunity. We see the same with our Preferred Customers. Although I don’t get the opportunity to speak to Preferred Customers as often as I would like I do receive occasional letters. In virtually all cases, these letters contain glowing comments about our products. And in many cases, like our Dealers, Preferred Customers become committed and go on to build highly successful AMSOIL Dealerships. Don’t get me wrong. Although I would love to see every Dealer and Preferred Customer become successful in an AMSOIL Dealership, I do not expect that to happen. Not all of you, I understand, have the time, the interest or desire. I can only tell you that I am extremely grateful for your commitment to our products, and I sincerely appreciate your loyalty to the AMSOIL brand. I would like all Preferred Customers and Dealers to realize, however, that the AMSOIL business opportunity is there for you, at any time, should you choose to pursue it. 1. A company must have quality products. AMSOIL products perform as intended, and clearly, the better the products perform the easier they are to sell. Not only does our quality attract consumers, it inspires confidence and enthusiasm in our Dealers. We manufacture our own product line to ensure quality control, and our product line is large, providing Dealers and Preferred Customers with diversity and choice. And bottom line, there is demand for AMSOIL products. 2. Company support is a necessity. Knowledgeable Dealers are successful Dealers, and AMSOIL puts great effort into Dealer training. Beyond the intense instruction provided at AMSOIL University, we offer a wide selection of literature, website training and other educational tools. Also, unlike most MLM companies, we provide direct access to the company. Our open phone policy, conventions and regional meetings provide the personal contact that is extremely important for the training and inspiration that is necessary to succeed in the multi-level marketing industry. 3. Stability is a feature common to all successful MLM companies. AMSOIL has a proven track record. We have established a solid reputation. We look to the future, manage our growth wisely and commit to long-term goals. We have never, ever missed a payment to our Dealers or suppliers, and we reinvest our money for constant improvement and growth. Driving it all, we have highly-qualified management, skilled technical people and a dedicated staff throughout. 4. Good MLM companies make only legitimate claims. AMSOIL doesn’t promise instant riches. It takes hard work and dedication to succeed as an AMSOIL Dealer. And we don’t rely on outrageous testimonials or incredible claims to sell product or attract Dealers and Preferred Customers. We let the facts speak for themselves. From all of us at AMSOIL I thank our Dealers for their effort, our Preferred Customers for their business and wish all of you a wonderful holiday season. All Dealers do not work their business the same. Some dealers like to concentrate on commercial Accounts and are very profitable doing that. Other Dealers would rather work with individual people and they are very successful doing that! 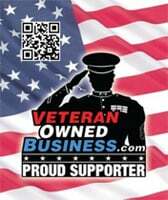 Still others build their business through a combination of Commercial, Retail, and Sponsoring other dealers. That is the beauty of this business! You can be successful many different ways! Unlike other businesses “similar” to AMSOIL (there really isn’t anything to compare it to!) you can diversify and do what is easiest for you! It is a totally unique business that anyone can be highly successful at! If you believe you are ready to take the next step, please email me or call me. I would like to help you achieve success! Above all, AMSOIL provides its Dealers with an excellent support system to help them develop their business and thrive. Brochures, tapes, regular meetings, technical services-everything you need to begin and build your business is available from AMSOIL. With AMSOIL products and services behind you, you can operate your own business. AMSOIL Income Opportunities pdf brochure. Contact me directly if you would like to find out more, or become an AMSOIL Dealer.